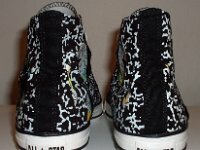 Photo gallery of Tear Away high top chucks, a multi upper shoe. 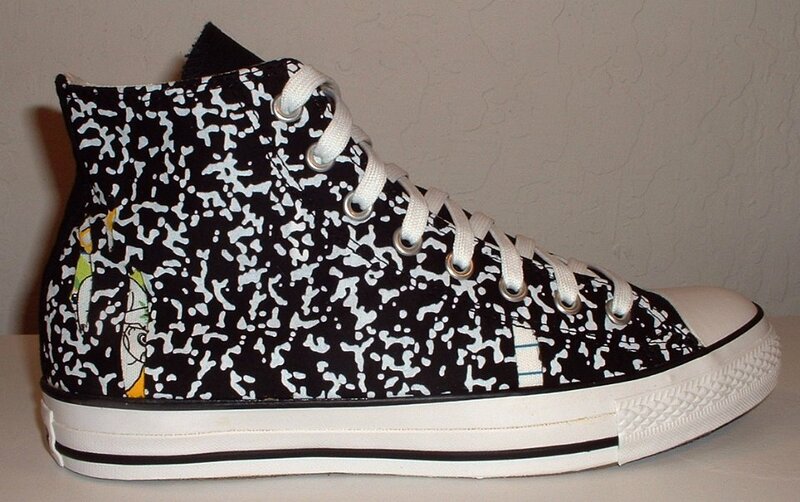 1 Tear Away High Top Chucks Inside patch view of a right tear away high top. 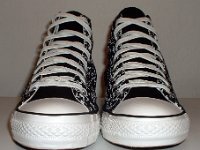 2 Tear Away High Top Chucks Outside view of a right tear away high top. 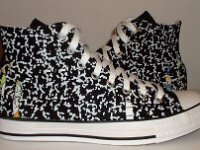 3 Tear Away High Top Chucks Closeup of some tear away holes. 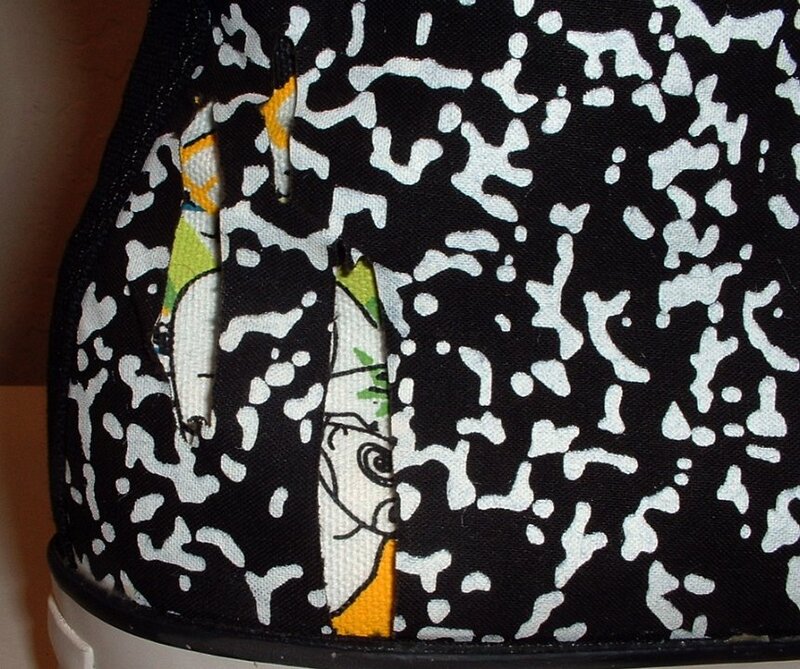 4 Tear Away High Top Chucks Inside patch view of a left tear away high top. 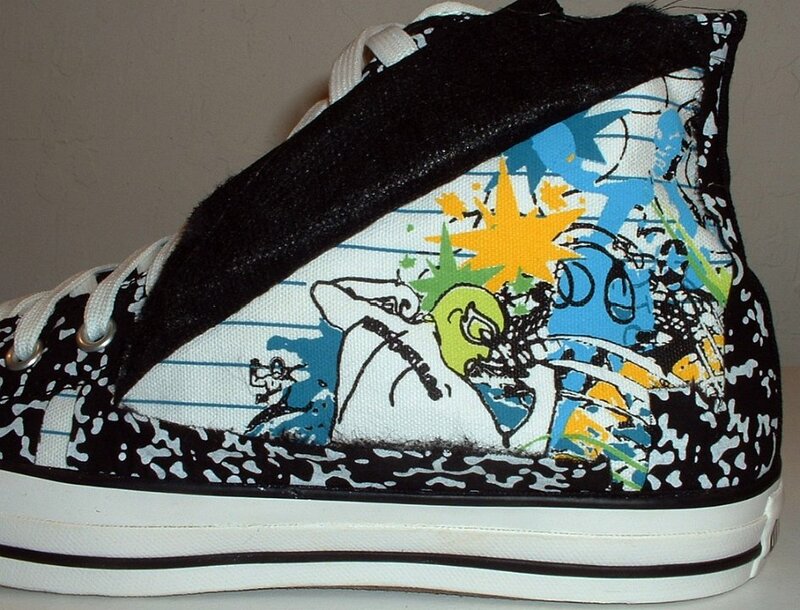 5 Tear Away High Top Chucks Outside view of a left tear away high top. 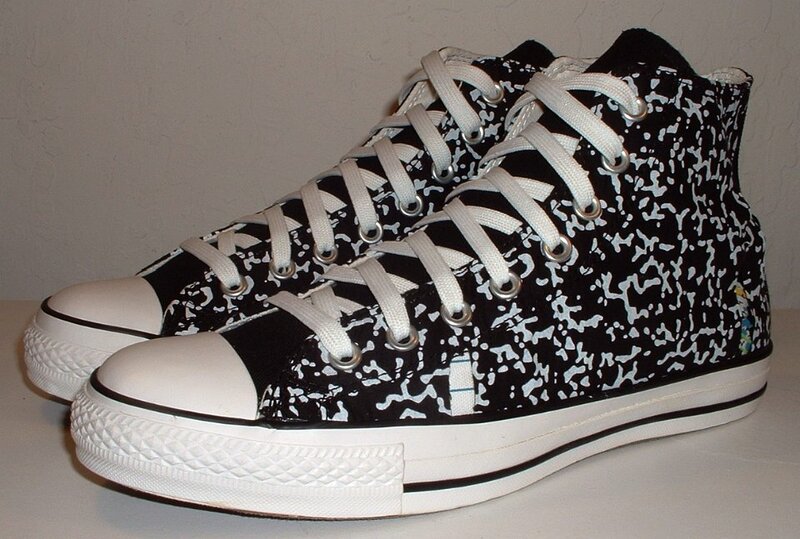 6 Tear Away High Top Chucks Rear view of black and white tear away high tops. 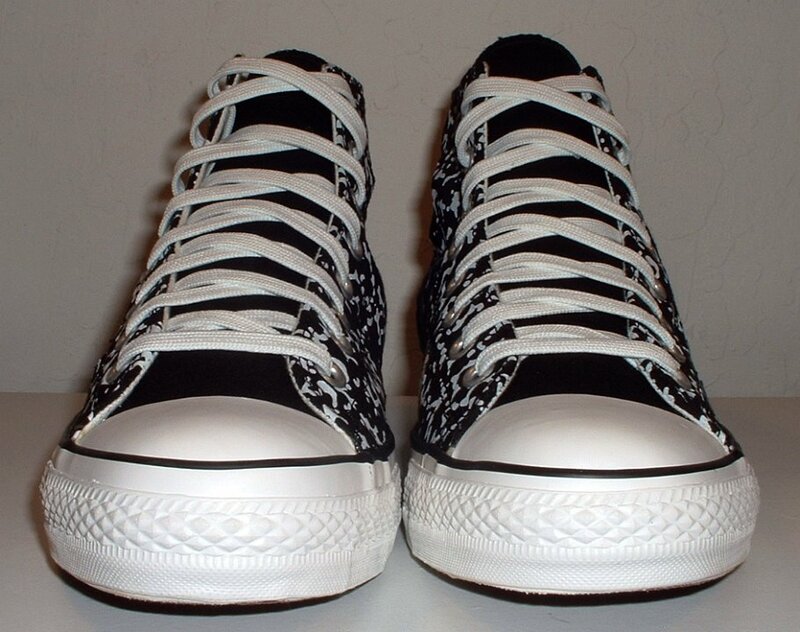 7 Tear Away High Top Chucks Angled side view of black and white tear away high tops. 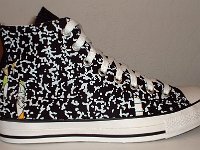 8 Tear Away High Top Chucks Front view of black and white tear away high tops. 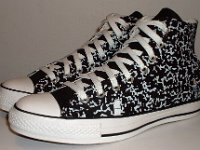 9 Tear Away High Top Chucks Angled front view of black and white tear away high tops. 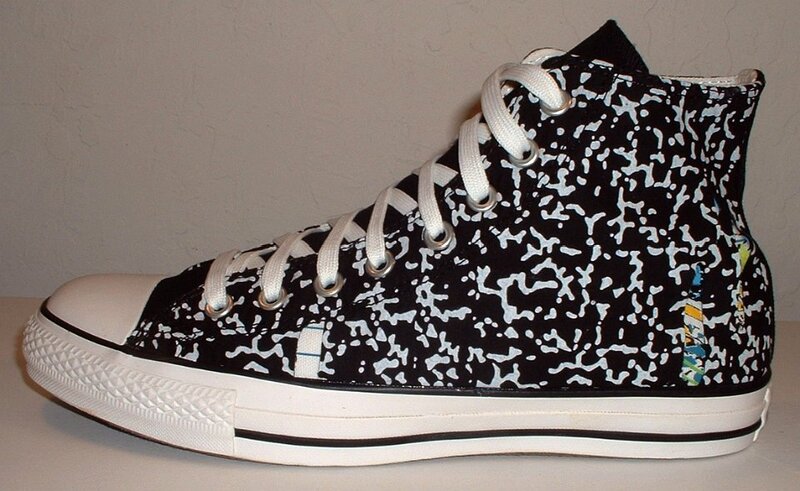 10 Tear Away High Top Chucks Top view of black and white tear away high tops. 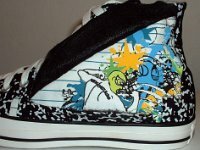 11 Tear Away High Top Chucks Outside views of black and white tear away high tops. 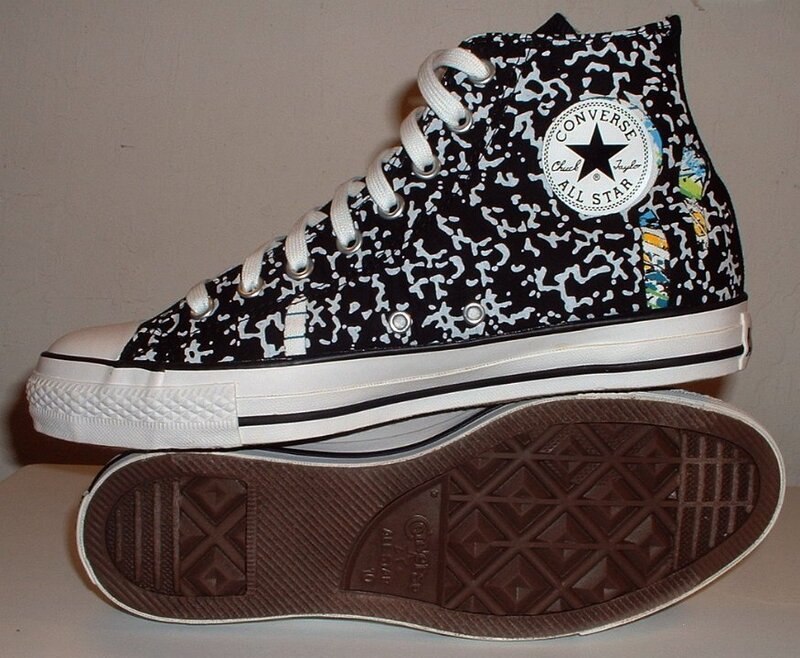 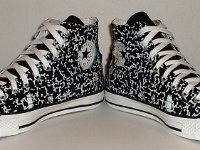 12 Tear Away High Top Chucks inside patch views of black and white tear away high tops. 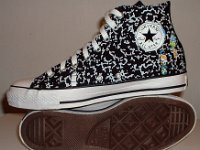 13 Tear Away High Top Chucks nside patch and sole views of black and white tear away high tops. 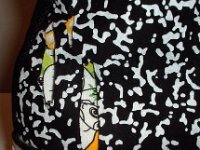 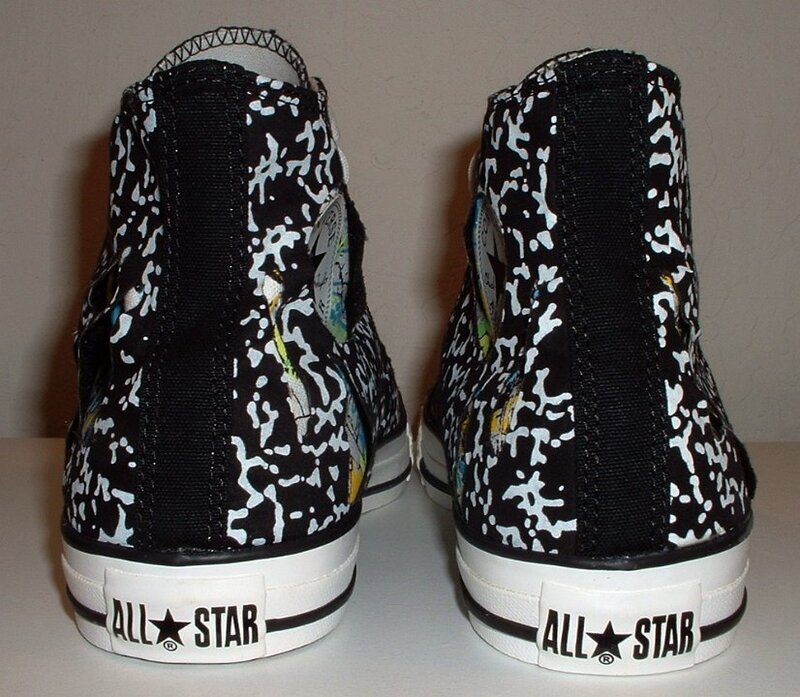 14 Tear Away High Top Chucks Close up of the underneath print on a left tear away high top. 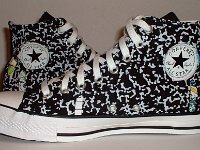 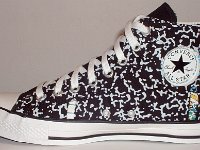 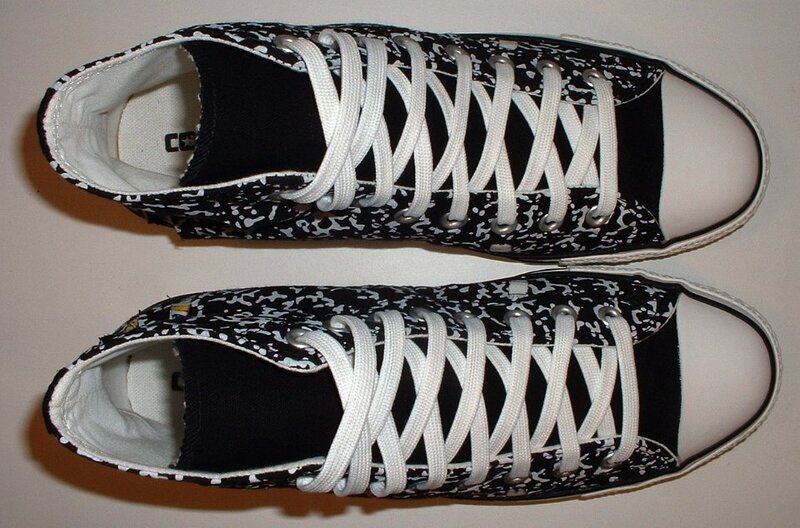 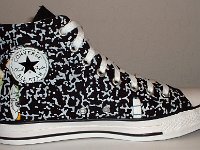 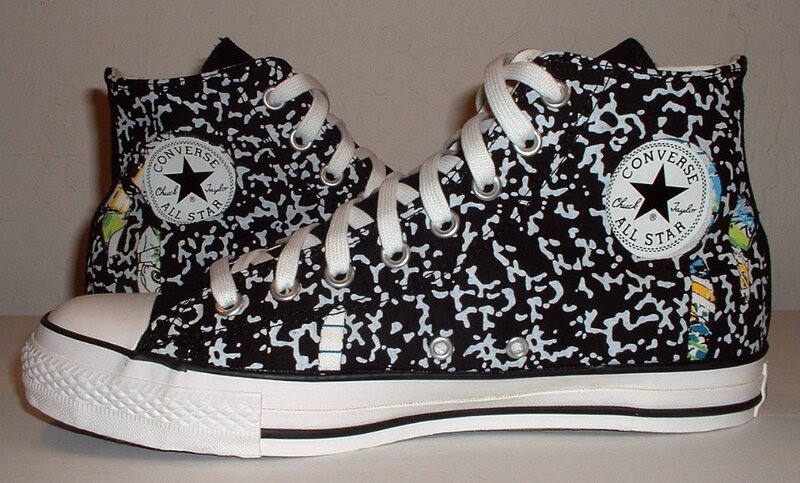 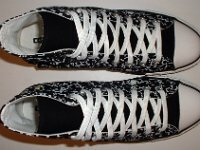 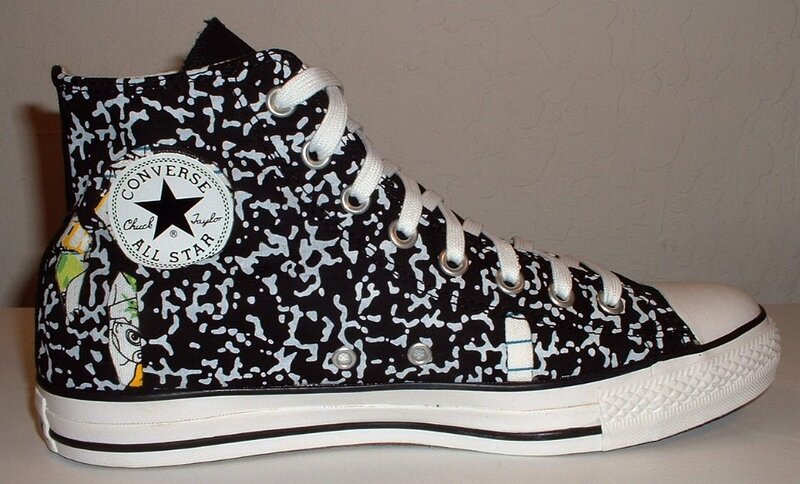 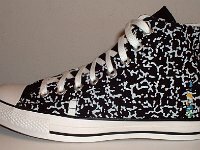 The Chuck Taylor All Star Tear Away was first released in late 2007. 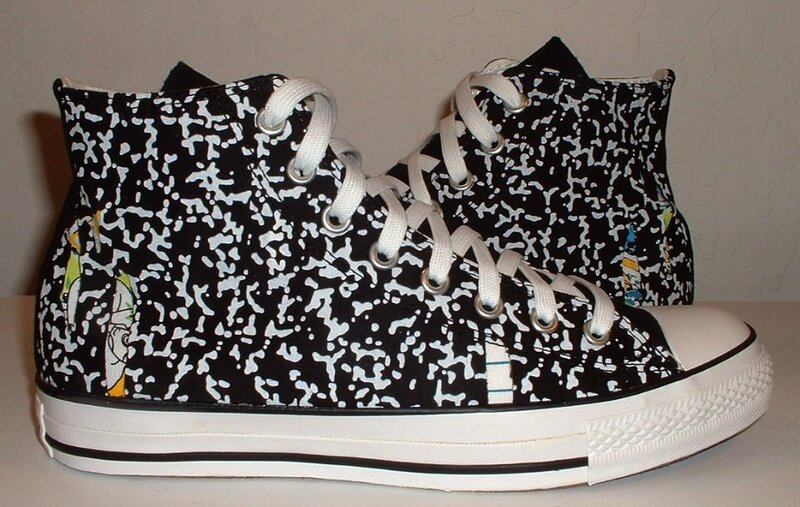 Each pair comes with a tag that says "To tear or not to tear: Customized your kicks by ripping away the top layer to reveal a second print."